What do you think about the new oral pill BG-12 for MS? It’s still going through rigorous trials and the last I heard it would not be out until March of this year. Moreover, it’s intended for patients with the more common form relapsing-remitting MS. I on the other hand have an advanced case of secondary progressive MS. I have tried many different medical therapies and I’m starting to feel like a pig grubbing on table scraps thrown his way. Will you switch therapies? Or better yet, how emotionally invested are you in what you’re taking now? Personally, I’m not attached to Copaxone at all. I’ve seen a continual decline since I’ve been on it. I get confused though; because all these drug treatments are simply supposed to slow the progression down, not necessarily halt it. So am I asking for too much from a pharmaceutical treatment? Or are they helping on levels I’m not acknowledging? This time around I won’t get my hopes up on this BG-12 therapy. I’m going to continue my relatively full schedule of modified workouts, horseback riding, writing and spending time with family and friends. After all, it can’t get much better than that, right? Nicole, I thank u for all that you do to help the public, and even us MS patients all that you can. I have been on every injection over the last 10 years, and none seem to be working to slow the progression. I was going to be put on Tysabri, but tested positive for the virus, i forget the name, something like JC or something, and my neuro said i shouldnt do it. I do start Gylenia the 28th. 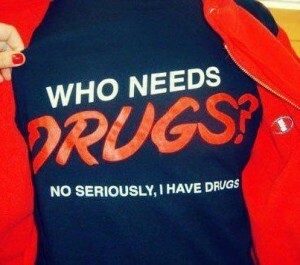 I just dont see how if none of these other drugs can make a difference, why would this one. but i will be grateful to be done with injections, and have an oral medication. That alone was worth it to me. but i am a bit pesimistic that it can help. i am going to just continue living as healthy as i can, and eat as many foods that come out of the ground and off trees. The stress and depression that i have suffered with on top of the physical decline is getting hard to handle. But i will say to anybody who is suffering from mental problems, please find a counselor. there are some good ones out there, and if u see one, and after the first appt u feel like they cant help you, ask for another. Good luck to all of you with the monster. We have to own it, not let it own us! Scotty, Thanks for the support of confidence. I just try to bring to light the worries that may be on all our minds. Plus to urge us all to keep moving however we can! Another research drug. I’m still getting over the last one. Saying it’s better than nothing is becoming a questionable statement. Dennis, You got that right! I just started Aubagio once a day pill. Excited as I think it has little side effects but scared since it’s so new. Any insight into this therapy? Kimberly, I was going to start that one too. i was afraid it would lower my white blood count too much. My Neuro is thinking about putting me on Tysabri. I’m currently on Copaxone. What happened when you were on it Nicole? Any advice? Tim, I just kept my limp. Tim, I was on Gilenya. It gave me the T cell count of an AIDS patient. I was immediately taken off it by my Doctor. I paid out of pocket $1,200. The manufacturer paid $2400. My doctor wanted me to try Tysabri, but first he tested my blood. I was antigen positive. So please make sure you are not positive – the results are grim. Sister, I just wanted to write and tell you how proud I am to call you my sister. I am so impressed by your writing, and your ability to be so transparent for the world to see you during this storm in your life. Danielle, I’m speechless and always love your support. It means more than you know. Nicole, have you heard about RSO(Rick Simpson Oil)? People have been writing on his Facebook page about the success they are having with it. He also has a web site called Phoenix Tears. Very interesting material and testimonials. MOB, no never heard of it. I’ll have to check it out. I am very early SPMS. I was taken off of Tysabri, because it did not work for me. I was on it for almost 4 years, and my walking continued to get worse. My Neuro is hoping to get me in to a study soon (there is one out there now, but I have to be off of Ty for 1 year to qualify. I have only been off of it for 4 months, there is another study coming out very soon. Both of these are for SPMS! YAY! In the meantime, I have been doing 2 days per month of IV Solumedrol to hopefully keep my MS at bay. So far, it is working! I see my Neuro every 8 weeks. He is keeping a close eye on me, which, of course I appreciate. I was all set to do the Baclofen Pump Trial, but have decided NO to the pump. I ran across a forum about people wanting to have the pump removed because it was causing bladder, bowel, and sexual problems. No Thank you. I was researching the pump to enhance Quality of Life, not worsen it. Also, reading Wheelchair Kamakaze, and his friend who had such problems because of the pump, made me decide no. I know a lot of people are very happy with the pump, but I am not willing to take the risk. Faye, I’m happy for the study. I wish you the best. also be careful with the solumedrol. I took it too for a long time. Faye, I hope every thing works out. I decided not to do the pump too. Nicole…,as usual your experiences fighting the monster MS and how you do so with such integrity, honesty and always hopefulness leaves me tearful….. And feeling very blessed to be your friend. I have not been on any MS inject inlets or oral meds except the good old solumedrol for flair ups for the past 7 years and these have been the best 7 years in the past 23 years I have had MS. I was a guinea pig for over 15 years taking any medication or drug therapy the various doctors I had to see prescribed. They were the experts after all and if there was a chance the meds would slow progression down then I took them. At one time I took 11 different medications plus was on Copaxone. Now I take only the bare essential 4 medications and have never done better. I believe being pregnant several times somehow kept the disease at bay and I believe some of the injectibles and recommended therapies they do not know enough about and in their Quest to help us and stop MS, these drug therapies are released too soon and they actually harm us. I last took Rebif. The neuro did not say a thing that people with a history of depression and anxiety….Hello, we all have who have MS!!….. Could become suicidal and severely depressed and need to be monitored closely. That happened to me on Rebif and when I called to speak with the neuro about stopping Rebif she warned that my MS would progress quickly without any drug therapies and I had already been on Avonex for 8 years and failed on that and developed rheumatoid arthritis symptoms from Copaxone after 6 years and become suicidal on Rebif and I continued to progress. For me, the drug therapies and all the pills and aNd orphan drugs and Black box drugs and heavy steroids and chemotherapy hurt me way more than they helped. So dear courageous friend, for what we risk to maybe SLOW progression… Not halt it….is not worth it at all. I do not have your course of MS and and have not walked in your shoes. I just don’t want you to harm yourself but I certainly want you to take the best care of yourself and recognize how complicated that can be with our disease. Keep Fighting Nicole….you are such an inspiration and Hope to so many and God has you in His arms. Andrea, yes I’m a guinea pig in do many ways. We may not see each other often, but I continually feel you warm wishes. M.S. is not a “bell curve” disease. Everybody is different. We have issues in common, but those aren’t the problem. The problem is… they don’t really know WHAT the problem actually is. The people who are caring for me are treating what they consider is upstream of what people call M.S., and whatever treatment I get is specifically designed for me and me alone, in whatever state I’m in TODAY. But my treatments can’t be double-blind tested (I could tell when they were “placebo-ing”, so could my doctors), and because they’re custom-designed for me, they aren’t amenable to statistical analyses. But, by my lights, they work. For me. Because, after all, they’re custom-designed for me. The treatment that helps you is the treatment that helps you. End of story. Pharmaceutical-ad-campaign-protestations be damned. Robert, You right I’m not under the curve, I will adjust my expectations accordingly. Thanks again. My neuro is putting me on the pill in March due to copaxone has destroyed my tissue. I am excited to try it. Copaxone slowed the lesions but nothing else. I am ready for game on! I have cognitive issues and I want some brain back. Good luck to all! I studied BG12 on the Internet last night. A great place to research medicine is Cafe Pharm a message forum for drug reps. They said that BG12 causes PML and that’s why it hasn’t had FDA approval yet. It has been used for psoriasis patients short term, but it has not been used long term by anyone. They believe that long term this medicine will prove to be really bad for People living with MS. Even if it is approved everyone do your homework, research this med! Kim, Thanks for the heads up. I am on Gylenia for 10 Months and it has a 50% Rate on slowing down the Progression, definetly beats the Interferone Therapies i tried before. All I got to do istead of Injections is a Daily Pill easy and no Side Effects. Gonna stay on it but am interested in the new Hormone Therapy they are researching that might actually halt MS Progression. Jennifer, I haven’t heard of that hormone therapy. Gilenya though a simple pill lowered my white blood cell count. I will be getting set up for BG-12 when I return to the neuro in a few weeks. I’ve tried a few of the drugs out there, but wasn’t able to tolerate them very long for a number of reasons. Avonex made me feel like I had been hit with a bat, all over, and the shot itself felt like I was literally being stabbed. Rebif, the shot itself wasn’t bad but again, couldn’t tolerate the side effects. Copaxone, after the first couple of shots (serious bee sting) I couldn’t talk myself into picking up the auto-injector, and didn’t really know anyone that could hold me down to do it. Gileyna was not an option for me due to cardiac issues. I’m very hopeful that BG-12 will work for me, because I’m scared of what’s next if I don’t do something. Agreed David! I’m a social worker in the medical field with MS and I also believe the pharmaceutical companies will never allow a cure for this disease or any other where they can make significant profits. I’m not against meds but I have chosen since my diagnosis in 2000 not to take medication because the side effects are worse than my daily struggle with MS. I’m more scared of putting all the chemicals in my body than I am of the disease. Dave, So scary, but possibly very true. I release new posts on Tuesdays and would love to see you back to join. the conversation. Kathy, I’m glad Gilenya is working well for you it dropped my white count too much so they had to take me off of it. But I must say it was working quite well. Nicole, I haven’t found that Rebif or Copaxone (the drug I currently inject at pain to myself) have done anything at all. When I mention this to my neurologist, I seem to get looks of disbelief and then, the explanation that it’s somehow keeping me from getting worse (they don’t know that anymore than I can feel in any way that it is doing anything at all)! Somehow, no matter what, it is me who is at fault here, is the feeling I get from these discussions. 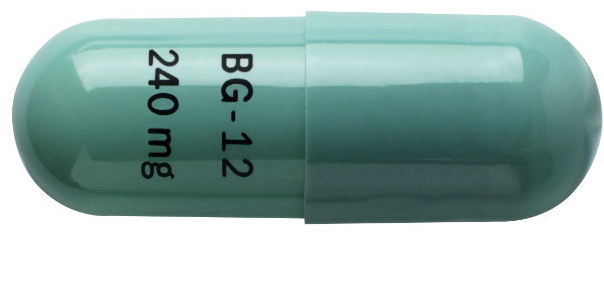 I am thinking about trying the BG12, well, because I always seem to hold out some hope and also, quite frankly, I am more than tired of these injections (mind you, if I saw any improvement or reason, I would do what is necessary). Right now, I don’t see much “use” of these neurologists and their pharmocological potions, but I certainly don’t know which way to go and try what I can that makes sense (CCSVI was a bust for me as well, and it all comes at great expense, financially and emotionally). I am just thankful to GOD that I didn’t know that MS is what I’ve suffered from all these many, many years and that I was able to keep myself “going” until in my 50’s!! (all that without neurologists or any “help” from doctors!). Nicole, Like you, I have SPMS, and there’s not much available to us drug-wise. I stopped the Copaxone when I realized it was doing little to halt or slow my progression. I read about all the new drugs, but I’m just trying to do things more naturally. I don’t ride horses, but I do try to exercise and eat healthy foods. That ‘miracle’ may still happen, and I may be normal again some day. Muff, I hope so for all of us! I recently came across your blog and really enjoy reading your posts. I have RR MS and was diagnosed in June 2004. I have been on Copaxone since then. My biggest thorn in the side is the fatigue. I work fulltime as a speech therapist serving preschoolers in a rural public school system. Work is starting to really “do me in.” I have always gone to the gym but had to stop early fall of last year because I am just exhausted when I get home from work. Since that time I have noticed I am weaker and my balance is not as great as it was this time last year. It is a trade off…..what do you give up?? The job or the workout. I smile as I see you mention time spent working out and horseback riding. Like you, I am scared to try another drug. This is the only drug I have ever been on and I am thankful for the state I am in today. I know things could be much worse!!! Mary Alice, I remember being exactly where you are. Just live your life while respecing your ever changing limitacions.. Never in a million years, did I think I would be riding horses! Carver out a new you! My personal take is this: There is more $$ to be made with a temporary fix than a cure. I take Gienya; a 28 day supply cost $12,150.00! I am like you Nicole, SPMS that has devasted me….I can’t walk, shower, write even pee easily. I type with one finger. Nothing out there drug wise has helped & I have tried them all. Instead of spending time & money on a bandaide find a cure! wOULD i BE WORSE OFF W/O THE MEDICATION? I don’t know…but for 12 years I’ve been following a pipe dream. Keep on posting your thoughts & comments…..
KIM M, Who knows if we would be better off. I need to believe we wouldn’t! Thus far in testing, BG12 has been the most successful at preventing disability progression outside of Tysabri and perhaps Campath though the jury is still out on that one. As for the need for a new drug, over time I have come to the conclusion we need many more new drugs until the time when we stumble our way to a cure. I note many of the front line meds for treatment of MS have been successful at reducing the number of new lesions but decidedly less successful at slowing disability accumulation over the years. 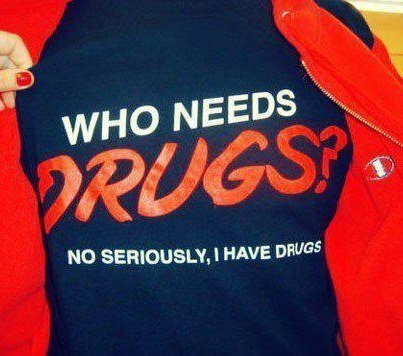 Isn’t that why we take the drugs? There have been many studies showing the poor correlation between flares and disability associated with the part of the brain where the flare occurs which is what one should expect in a complex system (note: complex systems theory was designed to explain our nervous system long before it was used for many other areas of natural science research). Given why we pay through the nose to take the disease modifying drugs, I welcome a potential oral medication to slow the progression of disabilities. I don’t particularly care about white spots on an MRI, I want to stop feeling worse. You never know what drug found for relapsing remitting MS may have benefits for progressive. If MS can get drug options from cancer research, I hope for a smaller jump between RRMS and progressive MS. I know many neurologists have tried Tysabri for their progressive patients, but I have heard only anecdotal evidence on their success. well lived, excellent point. I tried Tysabri too for a while.